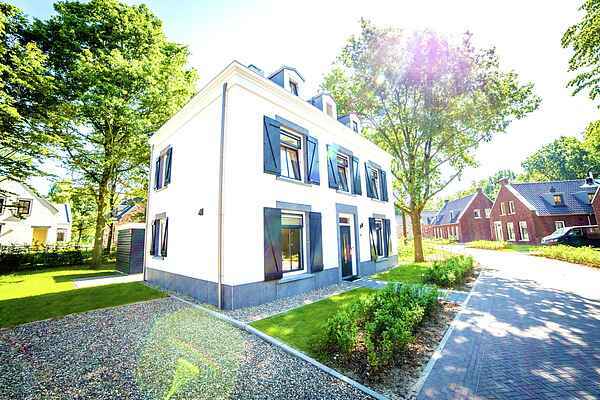 Build in the middle of 2016, these villas are situated on large parcels of land, spread over the large Maastricht Resort. There are four different models to choose from; a detached 6 person comfort villa with three bedrooms and one bathroom (NL-6216-02). There is also a luxury model (NL-6216-03). This type of villa is larger and has a luxurious bathroom with Jacuzzi and sauna. Than there is the 8 person luxury villa (NL-6216-04). This type (semi detached) has four bedrooms, spread over the 1st and 2nd floors and has two bathrooms, one of them with Jacuzzi and sauna. There is an American fridge in the kitchen. And finally there is the large, detached, stately luxurious 12 person villa (NL-6216-05). This type has six bedrooms, spread over the 1st and 2nd floors and has three bathrooms, one of them with Jacuzzi. This type also has an American fridge in the kitchen. All villas are modern and are tastefully decorated. They have a large living room, a modern open kitchen equipped with all modern furnishings (combination microwave, dishwasher and Nespresso coffee machine). All the bedrooms have box spring beds. They can therefore be used as a double or 2 single bed set up. Finally there is a garden with terrace and outdoor furniture.